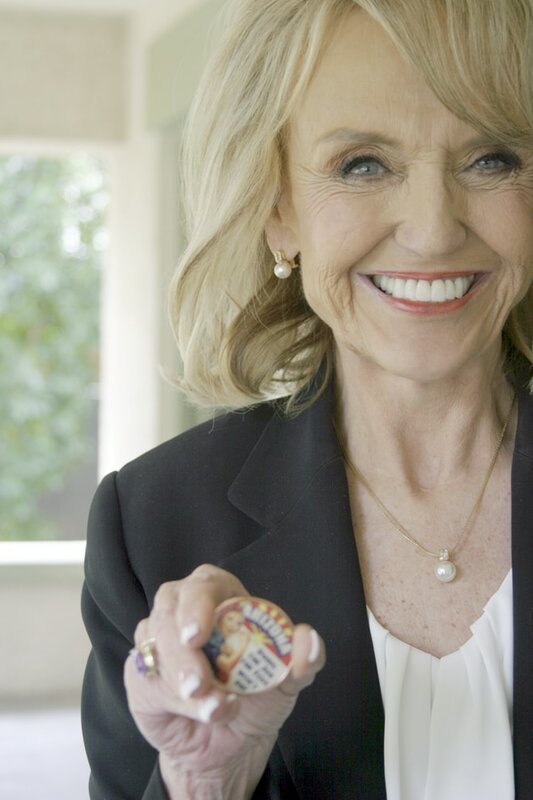 ​Jan Brewer was dumbfounded as a parent, while attending her first school board meeting. So she made a proposition to her husband: If he would fund her campaign (she loathes fundraising) she would run for school board. He countered: Run for the State Legislature. It would be her first of more than 20 successful campaigns for public office. She said she is aware of what she calls “a grand plan” that many politicians have, a roadmap in one’s head that takes them from their first election all the way to the White House. “For me, there was nothing, I never sat down and said I would be governor,” she said. For Brewer, becoming Governor wasn’t in the realm of possibilities. So when her political advisor, Chuck Coughlin, told her to prepare for the possibility, she registered surprise. It was November 2008 and President-elect Barack Obama had nominated Arizona Governor Janet Napolitano to his cabinet. By then, Brewer was in the middle of her second term as Arizona’s Secretary of State and next in line for the Governor’s office. With a resume’ that included State Legislator, State Senator, and Maricopa County Supervisor, no one could argue her pedigree. Arizona’s Republican establishment began putting forth candidates to run against an incumbent Republican governor party who had never won the race for the state’s highest office because they believed she was incapable of governing and therefor unelectable. But Coughlin had been with Brewer, advising her, almost from the start. She had spent three years in the Arizona House and 10 in the Senate when she decided to run for Supervisor in Arizona’s largest county. Then in 2002, when Arizona Secretary of State Betsey Bayless vacated her office, Brewer ran another successful race. When Barack Obama was sworn-in as President, Governor Janet Napolitano joined his Cabinet and Arizona Secretary of State Jan Brewer was sworn-in as Governor of Arizona. Because she was succeeding a Democrat, Governor Brewer didn’t expect a smooth transition but as she eyed the 2010 gubernatorial race, it was her own party that gave her the most trouble. The state of Arizona, Coughlin said, was in a state of economic calamity. Coughlin took on the task of surrounding his boss with competent staff to lead the transition from the Napolitano administration. Meanwhile, fellow Republicans began making plans to run against her. Meanwhile, the Governor began to address the economy. The thought of raising taxes was animus to Governor Brewer but she came to a reckoning. Brewer decided to add a one cent sales tax which would raise a billion dollars for the state annually. The measure, put before the voters, passed in all but one county in May 2010. “That was a referendum on her governance,” Coughlin acknowledged. At that same time an Arizona legislator was working on an immigration bill which garnered national attention. Brewer signed the bill and a modification to it that April and the issue would eventually make its way to the U. S. Supreme Court but it was overwhelmingly favored by the people of Arizona. Her Republican opponents soon all dropped from the race. “Once we got the budget done, once 1070 passed in May it was a launch pad. It was her narrative. Prop 100 wins with 58 percent of the vote,” Coughlin added. The Governor went on to defeat Arizona Attorney General Terry Goddard with 55 percent of the votes. “He’s an intellect, not a street fighter, Jan is a street fighter, he didn’t offer any solutions, then he got caught in the maelstrom of the immigration issue, always going to be an uphill climb for him,” Coughlin explained. The Governor looks back at the campaign, still registering her surprise. “I tell them that it is not easy but it is admirable. “I think public service is an honorable thing to do. It’s something that you get a lot of joy out of and you get a lot of headaches. Governor Brewer harkened back to when she asked her husband to finance her first campaign for school board.